Ride-hailing Uber has been found not criminally liable in the death of 49-year-old Elaine Herzberg, who tragically became the first known pedestrian to be killed by a self-driving vehicle when she was struck by an Uber test SUV in Tempe, Arizona in March 2018. Polk said her office concluded that the “collision video, as it displays, likely does not accurately depict the events that occurred.” She didn’t elaborate further on possible discrepancies, but recommended Tempe police get an expert analysis of what the vehicle’s driver should have seen at the time of the accident, given vehicle speed, lighting conditions, and other factors. To be clear: the concept of corporate manslaughter is a legal principle in theory. But the concept is more or less foreign to U.S. law and it’s not quite obvious who would be served with an indictment in the event Uber was charged with a crime. Other questions arise: Who would be arrested over the death? Does Uber’s CEO have a jumpsuit in his future? The potential for a corporation to be charged with manslaughter raises multiple issues of novelty and legal first impressions. 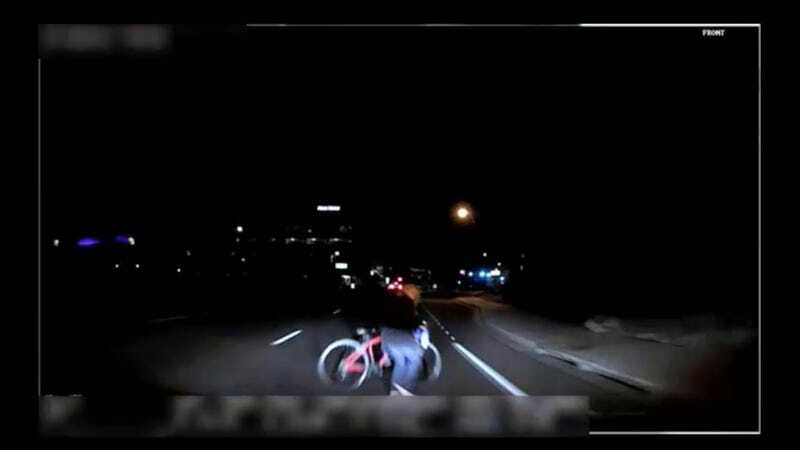 Polk did not elaborate on her reasoning in the letter, but did add that since it has determined Uber cannot be held criminally liable in the incident, Maricopa County officials are now free to investigate whether the operator was negligent. The crash occurred when an Uber self-driving Volvo failed to detect and ran into Herzberg, who was crossing the street with her bicycle. Police investigators found that the human operator inside the car, Rafaela Vasquez, may have been streaming reality show The Voice at the time of the crash—though they also found Uber self-driving vehicles did not indicate to drivers when they should take manual control to avoid a collision. The Volvo in question detected something in front of it six seconds before the crash but did not properly recognise it was a person, only concluding emergency braking manoeuvre was necessary 1.3 seconds before hitting Herzberg (with the car’s built-in automated emergency brakes having been deactivated by Uber). Uber settled with Herzberg’s family last year for an undisclosed amount. It also adjusted its safety protocols, fired 100 self-driving car operators to replace them with 55 “mission specialists,” and halted testing until December 2018, when it renewed the programme in a scaled-back manner. However, that same month, reports emerged in the Information that Uber manager Robbie Miller had warned other senior employees before the fatal collision that the self-driving vehicles were “routinely in accidents resulting in damage.” He added that accidents were occurring “every 15,000 miles,” and that some drivers “appear to not have been properly vetted or trained.” The Information corroborated the details of Miller’s allegations with five current and 15 former Uber employees.